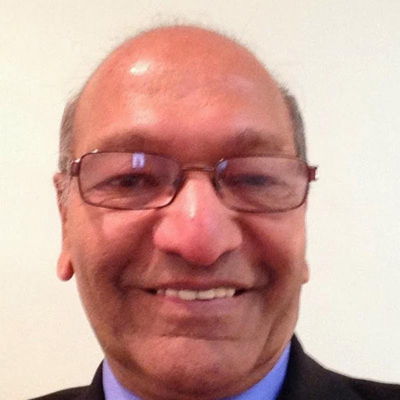 After Shri Vinod Jhunjhunwala's successful stint as President of EVFUSA, Suresh Iyer, Co-Founder and Chairman of Infospectrum, is taking over as President of the Ekal Vidyalaya Foundation of USA. 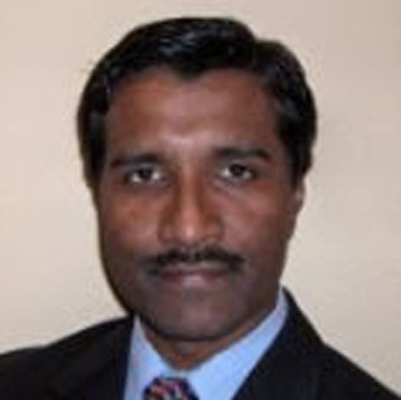 Ekal USA looks forward to moving ahead under his leadership in 2018. 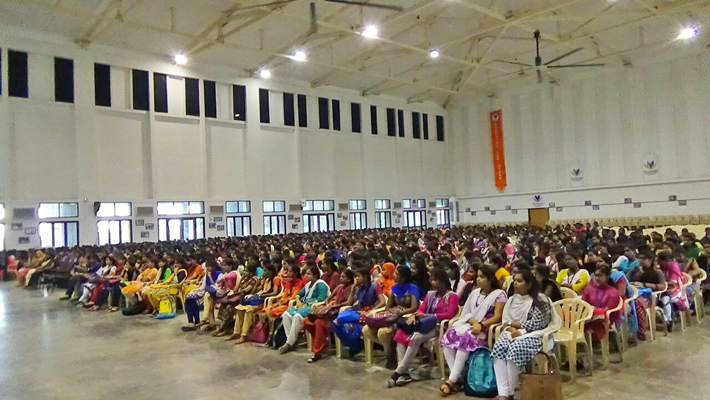 During Shri Jhunjhunwala's period, over 26 million dollars were raised and given to Ekal vidyalayas in India. 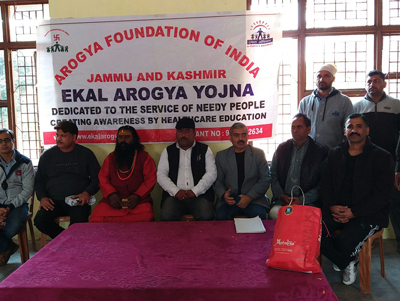 Ekal USA also helped in launching EKAL ON WHEELS, mobile computer labs that travels to rural areas to bring digital literacy to the villages. 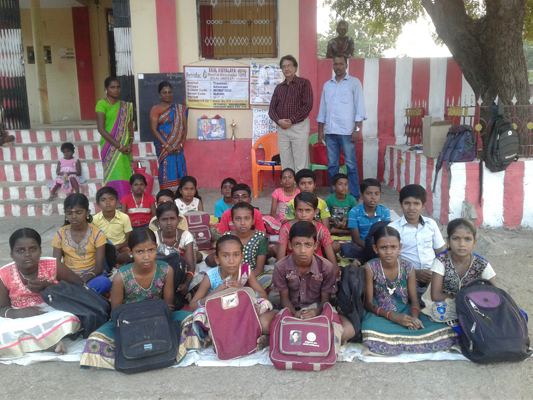 Gramothan or Village Development has also gained impetus with support from Ekal USA and has yielded outstanding results providing sustained income opportunities to many. Shri Pradeep Goyal, Chairman EVFI visited Muscat on 4th November 2017. While speaking at the 10th anniversary meeting of Oman chapter he elaborated on the goal and working of Ekal Vidyalaya. This has resulted in promises from prospective donors to increase their contribution to the movement. The event was also attended by the Ambassador of India to Oman H.E. ShriIndramaniPandey.Ekal Support Group Oman Chairman, Shri Anil Bhai Wadher and the Co-Chairman, ShriKishorbhai Mehta accompanied with Shri Pradeep Goyalin all the engagements. 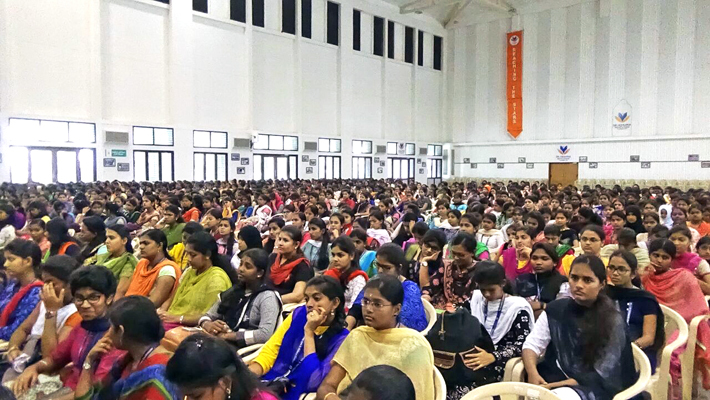 Proud moment for Ekal Youth Leaders, for executing a fantastic Appathon. Kids participated in Mobile App Building Workshop and Competition using Thunkable. 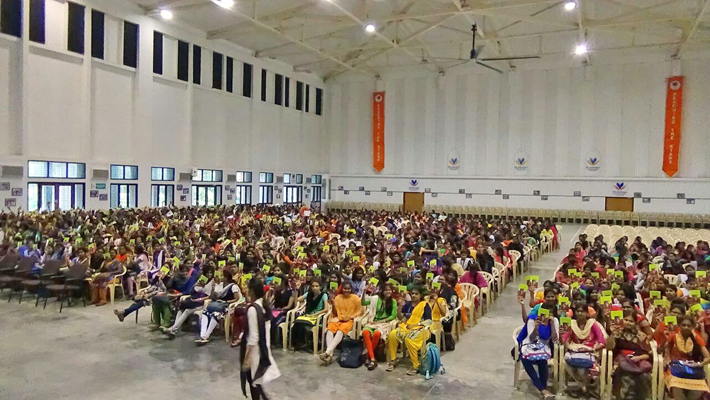 Participants learned the tools and shaped up their ideas.They also raised funds for 4 more Ekal Vidyalayas. 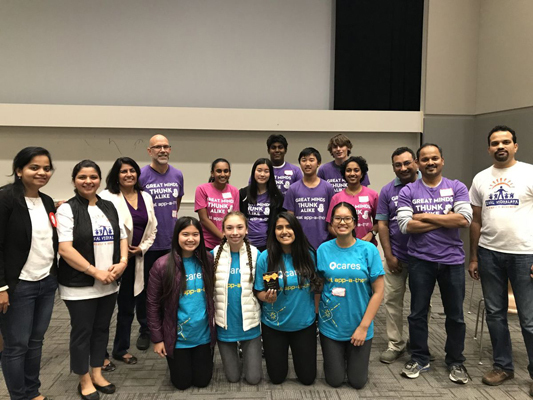 The Ekal Vidyalaya Foundation of the U.S.A., San Diego chapter, organized its first Southern California App-a-thon competition Nov. 12, 2017, at Qualcomm in San Diego, Calif.Senior students from local San Diego high schools, including The Bishop's School, La Jolla High School, Scripps Ranch High School and Canyon Crest Academy, worked hard to make the event a success. The theme was ‘holiday’ and each team was allowed to work on its concept through all stages of development, including conceptualization, white boarding, designing, coding and implementation of the actual device. The scoring was based on a comprehensive scale with points allocated for concept, design, implementation, presentation and team dynamics. More than 55 students from middle and high schools participated and a team of five girls won the first price of $500. The team included students Meredith, Michelle, Kira and Bella from Bishops High School; and Pooja from Scripps Ranch High School. 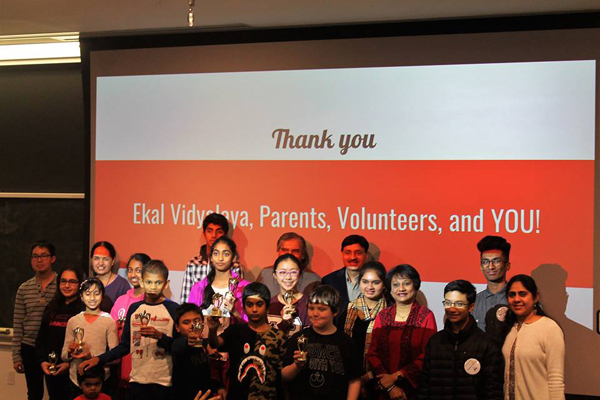 According to a member of EkalVidyalaya’sExecutive Committee, based on the success of the San Diego event, Ekal Vidyalaya is considering organizing app-a-thon competitions with chapters across the U.S. and creating a national platform for teams to innovate and compete. 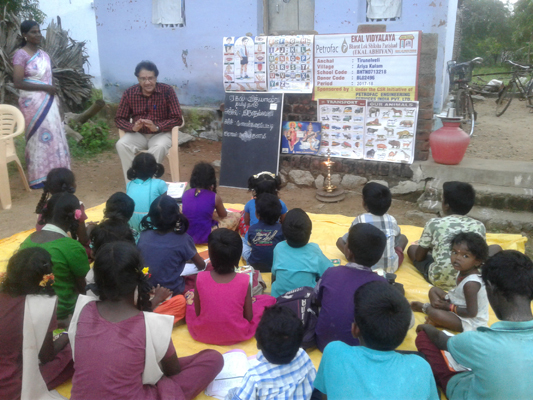 “Health Awareness Program” on managing anemia and malnutrition through food style / life style changes and home remedies conducted in K.S.R. Group of Institution at Thiruchengodeon 15th and 16th December 2017 by Smt. S. Hemamalini. 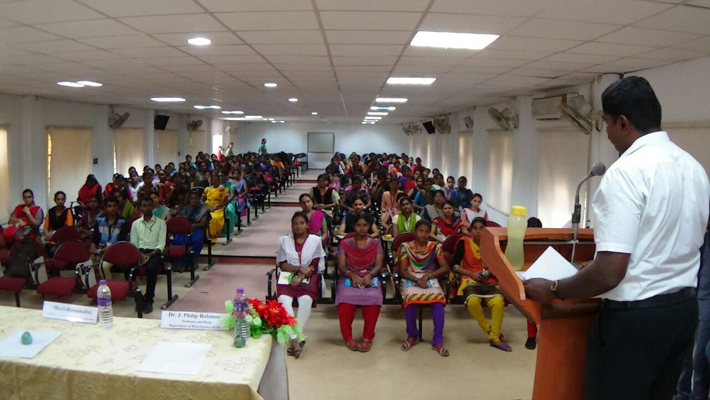 About 740 Students and 17 Professors were participated. 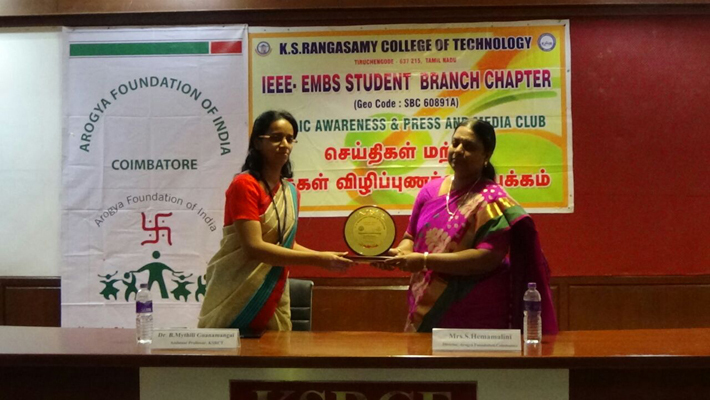 It was presided by Dr. B. Mythili Gnanamangai, Assistant Professor, Department of Biotechnology and K.S.Rangasamy College of Technology. 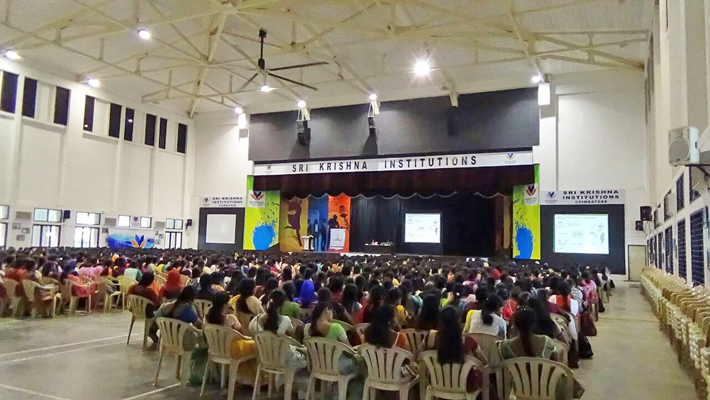 “Health Awareness Program” was conducted on 12th December 2017at Sri Krishna Arts and Science College, Coimbatore.Nearly 1000 students and 15 professors participated. 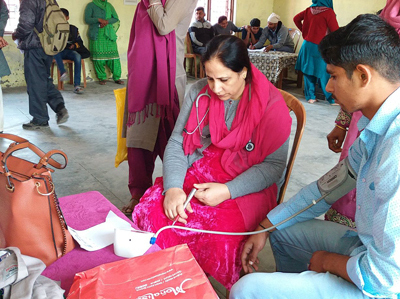 Arogaya Foundation organized two Multi-Speciality Camps at Goran village of Samba District and Muthi Village of Jammu. More than 150 patients were examined. 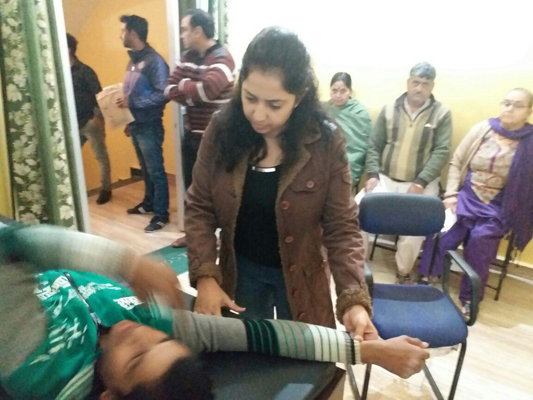 Free distribution of medicines; free BMD and other test; physiotherapy service were given. 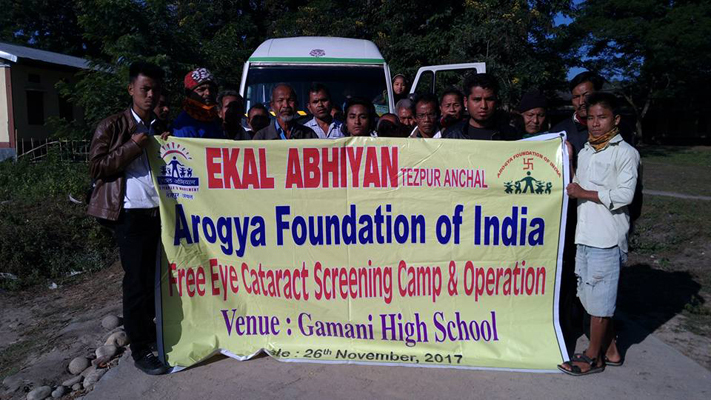 Arogya Foundation of India, Tezpur Anchal, supported 15 patients from very remote forest area of tribal belt to get cataract operation in Sankardev Nethralaya, Guwahati under best medical care. On the bank of Karapuzha dam reservoir in Wayanad district lie the Paniya colonies of Madhomkunnu and Cheepram. Though surrounded by water, this colony was deprived of good drinking water. The water in the dam was much polluted. They had no good sanitation facilities too. They never got the house and toilet allotted to them by the government. Dr. Sanjeev, Amrutha Hospital in Kalpetta came there for a medical camp. He noticed the drinking water problem and approached Amruthanadamayi mutt who offered to supply concrete rings for the well. 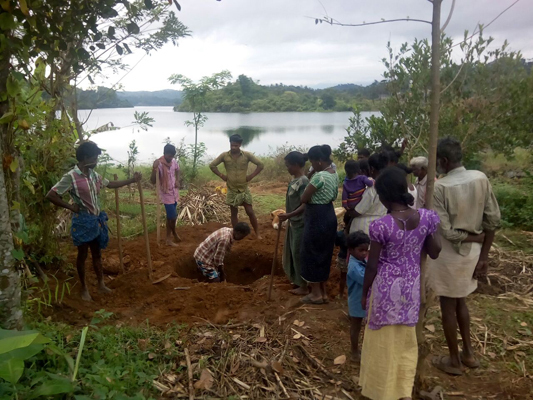 Under the leadership of Krishnadas, Ekal co-ordinator, the villagers decided to volunteer to dig a well. This was a historic moment when the tribals regained their self-esteem. 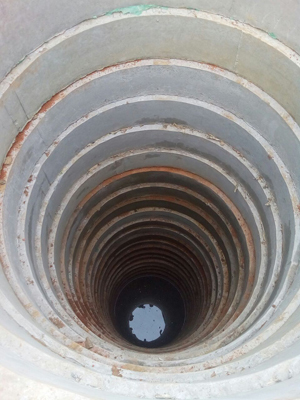 First, the well of Cheepram was completed. Madhamkunnu well would be completed shortly. The villagers of both colonies showed that they themselves could solve their problems. They are now planning to start vegetable farming as a step towards self sustaining. They have already made ready the land. Ekal will give them quality seeds. The people of the colonies have risen from mere farm workers to farmers. A recreation club was also started in the colony under the leadership of Ekal Acharya Shinu, Amrutha Arts & Sports club has been registered. As the mentor of Ekal, Shri.Shyamji Guptha says this is the power of soil. When the sons of soil rise, social changes will happen. Ekal Jammu operations, is in full swing and continues to grow. The young trainees from Doda, Ishtwar, Bhadarwah, Rajori and Akhnoor of Jammu district want to be kathakars. They want to give Sanskar Shiksha to villagers and their community. Prof.Manju Shrivastav, National President, Ekal Abhiyan, convened a meeting of Bhag Chanderbhaga on 12th December 2017.The purpose of the meeting was to take stock of the working of organization from grass root level and to encourage women to take active part in Ekal Abhiyan. 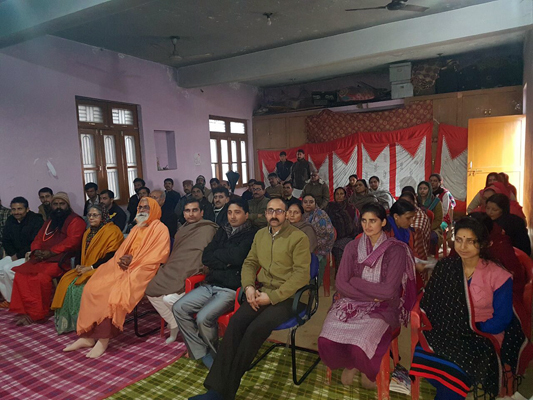 In addition to the Mahila Samithi, Swami Divyanand Sarswati of J&K Sambhag Sanrakshak, Shri Nehru Lal, President, Anchal Doda and the other activists and committee members from Chanderbhaga Bhag were also present. 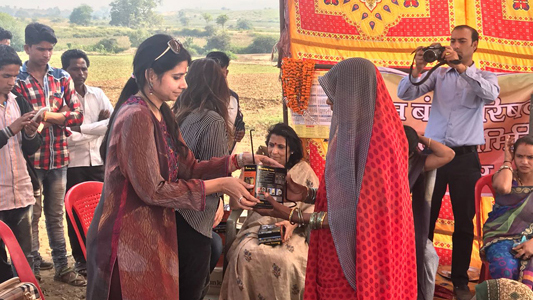 DishTV, DTH brand provider has joined hands with Ekal Vidyalaya and Bharat Lok Shiksha Parishad (BLSP) to provide basic education to underprivileged children across rural parts of Uttar Pradesh in India. 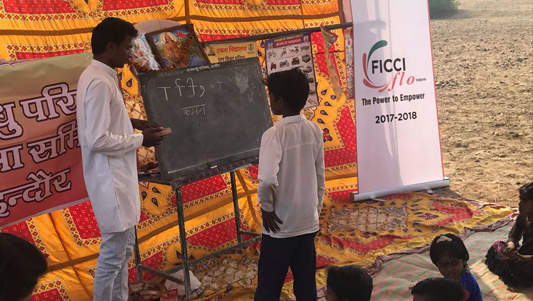 Starting from adopting hundreds in UP, the idea is to grow this number quarter after quarter, year after year and contribute in mission of eradicating illiteracy in India. "Rashtriye Kavi Sammelan" was held by West Delhi Chapter of Bharat LokShikshaParishad (BLSP). It was presided by the BLSP Trustee Shri Naresh Kumar Aggarwal and Shri Shubhash Aggarwal, Chairman Shri GD Goyal, Chapter President Shri Kamal Jain and BLSP Mahashtakveer Shri Champa Lal Lohiaji. A team of Kavi from Rashtriya Kavi Sangam and Ekal kathakar enthralled and entertained the audience with their innovative narration style and perfect blend of presentation. 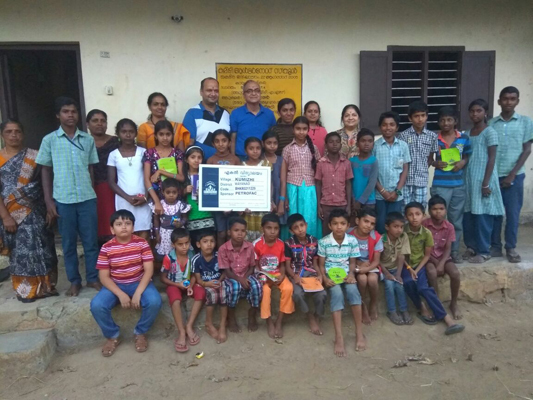 Families of Shri Rameshji Agarwal, President, and Vaibhav Gupta, Secretary, FTS Bangalore, visited inter sambhag Ekal Vidyalaya of Kumizhi Village in Wayanad Anchal of Kerala on 15th December 2017. 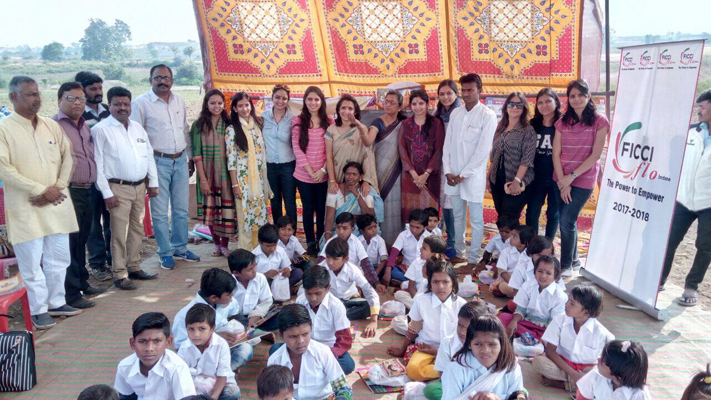 They said it was a great experience to visit Ekal Vidyalaya in Muthunga forest reserve area and were greatly welcomed by the children and villagers. 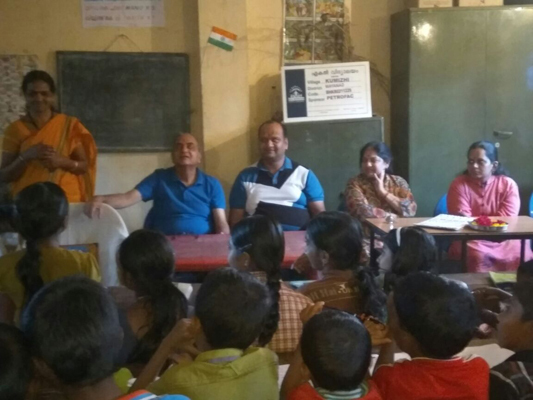 Members of Lions Club of Kolkata (BBD Bag) visited FTS School situated 15 kms away from Balasore. They appreciated the excellent work being done by FTS in this region and also confirmed contribution for 7 vidyalayas. CSR team from PETROFAC company along with their AGM Shri R Sathiyamoorthy visited the villages they sponsored in Tirunelveli district of Tamilnadu on 12th December 2017. They were very impressed with the working of these vidyalayas and have promised to extend support for the next year also. They also distributed pen, sweets and biscuits to the children. 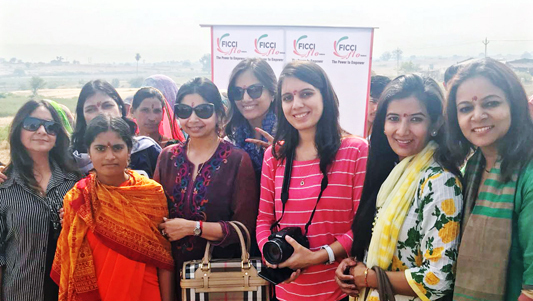 10 young lady members of FICCI Flo went on vanyatrato villages inKhargonAnchal of Madhya Pradeshon 4th December 2017.They werewelcomed by the villagers with their traditionaldhol dance and tilak. 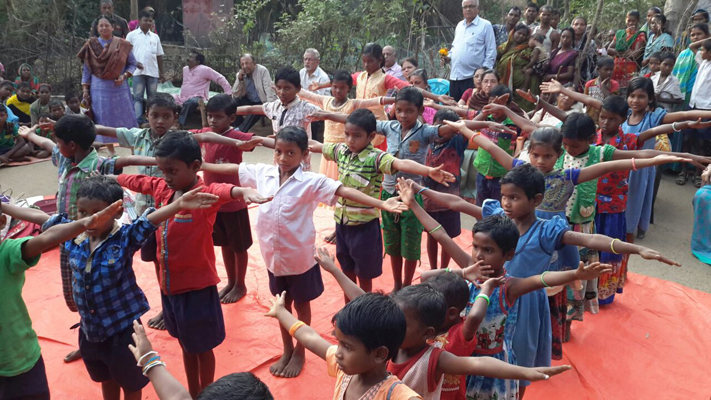 It was followed by a demo given by tribal children of their learning. 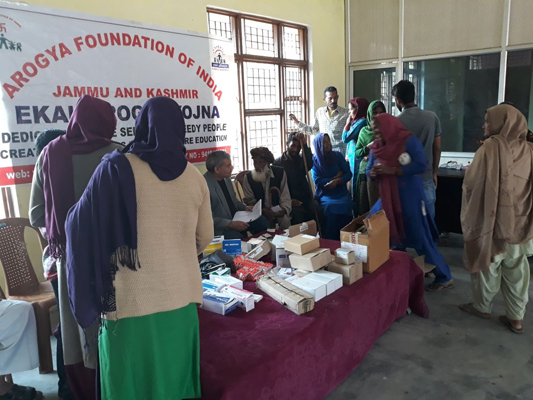 Visitors did story-telling, laughter yoga, games and a talk on oral hygiene with them and distributed personal hygiene kits and stationery as well as solar lamps. 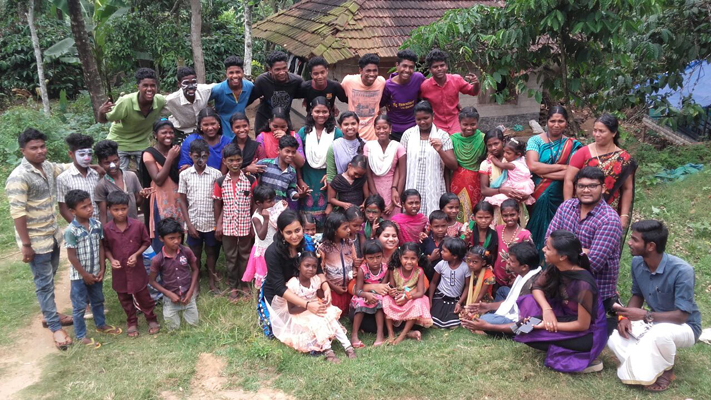 FTS Youth Co-ordinator, Kumari Aashritha and employees of CSR deptartment of COGNIZANT company visited Ekal Vidyalayas in Wayanad on November 4th and 5th. This was in continuation of the village visit on October 7th. They visited Ambalakunnu, Karinkalikunnu and Murikkaladi villages. 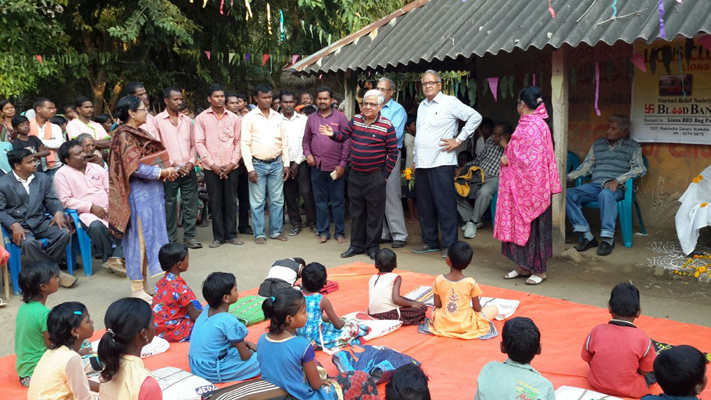 The FTS youth team plans to visit and serve these villages every month.